She says, The floral arrangements where bursting with warm, vibrant color against the moody sky. 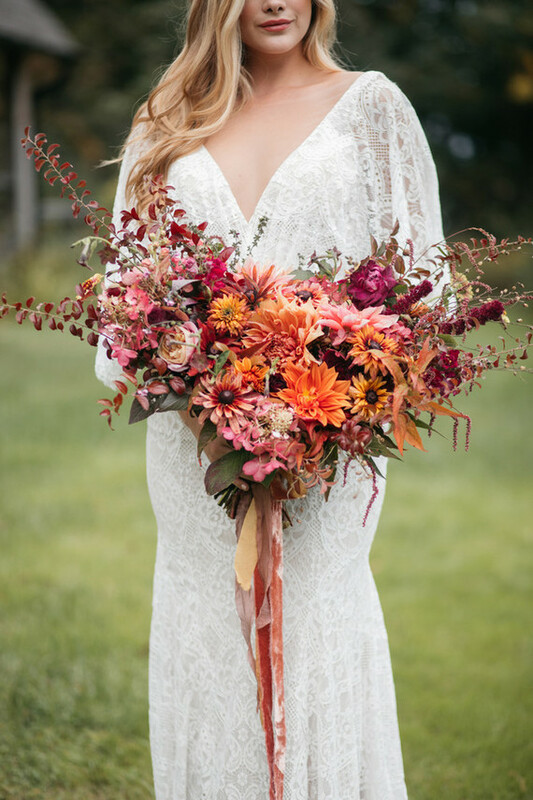 Jayflora Designs mixed rich burgundy with orange fall hues. Our ceremony was complete with a semi floating leaf arch adorned with lush florals. We used an assortment of mixed vintage chairs to create an intimate atmosphere.